A married person filing for bankruptcy can do so with or without his or her spouse. However, filing for bankruptcy individually may still have consequences for your spouse. Affecting factors include whether or not you and your spouse have joint property or debts, whether you file for Chapter 13 or Chapter 7 bankruptcy, and what the property laws are in the state in which you reside. Make sure to speak with your spouse and discuss how filing for bankruptcy will affect them. Joint debts are handled differently than individual debts. The individual debt of one spouse who files for bankruptcy will be discharged; the other spouse’s debts remain unaffected. When a husband and wife share debt, as in joint debt, the spouse who files is equally responsible for the repayment of that debt as the non-filing spouse. Although one spouse’s debt is discharged, the debt may appear on the other spouse’s credit report. Illinois bankruptcy laws allow spouses who file bankruptcy jointly to claim a set of exemptions. In Illinois, exemptions can be described as personal property, such as condos or farms, motor vehicles and health or disability benefits, among others. Filing bankruptcy jointly will increase the number of exemptions the married couple can claim. As a result, the trustee assigned to your bankruptcy case has no power to put your property up for sale. A wife’s credit will remain unaffected when a husband files for bankruptcy without her. As mentioned, a joint debt will cause the bankruptcy claim to make an appearance on the non-filing spouse’s credit report. Creditors will be apprised of your bankruptcy filing and can pursue joint debts from the non-filing spouse. In Illinois, the act of filing for bankruptcy can continually appear on you and/or your spouse’s credit record for an entire decade. Individually owned property is unaffected in a bankruptcy filing. Property that is jointly owned will be affected by filing for bankruptcy; and, the determining factors are whether or not you live in a common law property state or a community property state. Illinois is a common law property state, which means marital property is not evenly divided. Common law property states recognize properties acquired during a marriage as solely belonging to the spouse who purchased it—unless the name of the spouse is added to the title. For example, when a husband buys a yacht or a new car and adds only his name to the title, that property belongs exclusively to him in a common law property state. Referring to this same example, a community law property state considers the yacht or new car to belong to both marital partners, regardless of whose name is on the title. When a wife files for bankruptcy in a common law property state, the husband’s physical assets that are solely in his name remain unaffected. In a community law property state, the property of both spouses is affected when either file for bankruptcy. 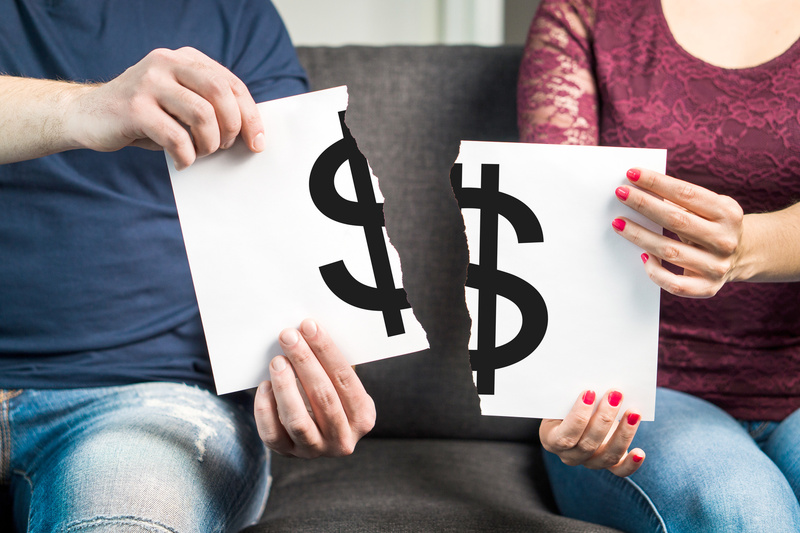 This is because the community property (including earned income) belongs equally to both spouses and these assets can be used to satisfy bankruptcy debts. Creditors can attempt to collect joint financial obligations from a spouse when the other spouse files for bankruptcy. Plus, filing for bankruptcy does not prevent the other spouse from having to pay back his or her individual or joint debts. First, acquire proof of responsibility for the debts from the collection agencies. Second, once the spouse has filed for bankruptcy, the other spouse can request an automatic stay from the bankruptcy court. The automatic stay should stop the collection calls. Third, if an automatic stay is granted, the spouse without the debts should notify the collections agency of the bankruptcy filing and request all collections activity be stopped. A bankruptcy lawyer can also work on your behalf to halt collections communications. As indicated earlier, Illinois is a common law property state, meaning the filing spouse’s debts are discharged in bankruptcy, but the non-filing spouse’s unpaid obligations are not. Creditors can continue to pursue the owing spouse. The codebtor stay protects codebtors, like a spouse, from creditors when a Chapter 13 bankruptcy is filed. The stay stops collections agencies from harassing the non-filing spouse. However, creditors may make a request to the bankruptcy courts to lift the codebtor stay. Such a demand is normally made when the debtor fails to repay the joint debts as outlined in the repayment plan. Married couples have the option to file for bankruptcy without their spouse. Joint bankruptcy filing is not mandatory under any laws. A knowledgeable bankruptcy lawyer will empower a husband and wife team to achieve their financial goals. The bankruptcy attorneys at Berry K. Tucker & Associates, Ltd. are positioned with the legal expertise and knowledge to help navigate couples on the brink of bankruptcy through their many options. Whether you and your marital partner are inclined to file for Chapter 7 or Chapter 13 bankruptcy, the skilled bankruptcy attorneys at Berry K. Tucker & Associates, Ltd. have the experience with both forms to offer expert legal advice. Filing for Chapter 13 bankruptcy is a complex process. A skilled bankruptcy lawyer can streamline following this route, should it be the most beneficial. With 50 years of experience in bankruptcy proceedings, the Berry K. Tucker lawyers will negotiate on your behalf with loan companies if your car is repossessed; we will advise you on the best course to take when you are overwhelmed with credit card debt; our medical debt bankruptcy attorneys will offer you legal options in regard to medical debts; and we will fight for you when you are faced with a home foreclosure. 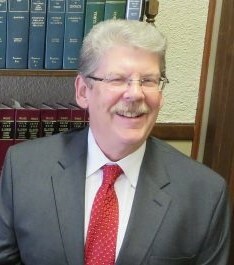 The Berry K. Tucker & Associates, Ltd. bankruptcy lawyers serve the Oak Lawn, Illinois, community and surrounding areas. Consult the legal experts to help you decide if filing for bankruptcy is right for you and your spouse. To speak with a professional bankruptcy attorneys at Berry K. Tucker & Associates, Ltd., give us a call at (708) 425-9530 or fill out a contact form.